Yes, Google will give you money and you don’t even need to sell your soul. 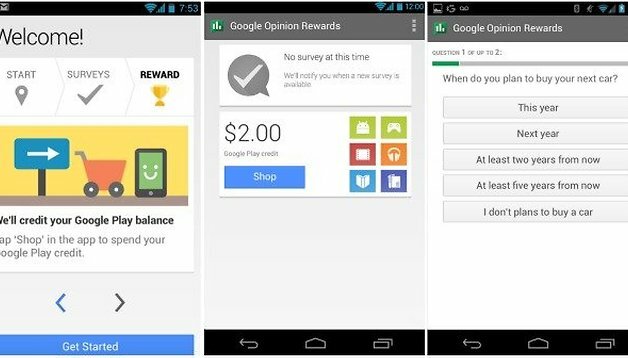 Google just wants to hear what you think by getting you to fill out surveys with their Google Opinion Rewards app for Android. Here is how you can get free Google Play credit! First install the Google Opinion Rewards which is available for free from the Google Play Store. 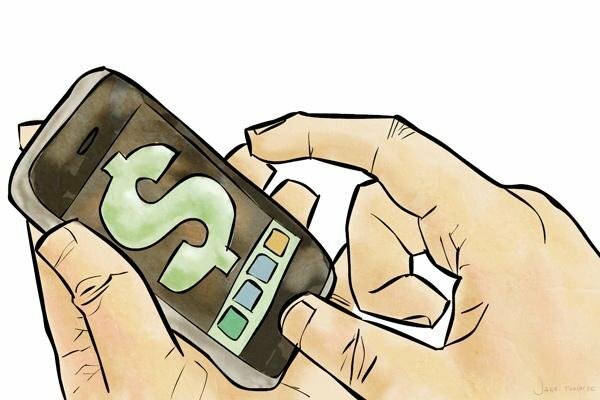 You’ll have to set up the app first by filling out an initial survey which will then be used to decipher which kinds of surveys you will have to answer down the road, there will be one per week, each one differing in length and content. After answering the complete survey, Google will then credit your balance which you can then redeem on the Google Play store, including apps, books, games, movies, music and more. You can make up to 1 USD for each survey. You will receive notifications informing you when a new survey is ready for you. Some users have commented about the nature of these surveys, some being political, others about your movie tastes, so it seems to be chosen quite randomly. When checking out the website for this service, it advertises it to businesses that then create their surveys, which they then use to figure out target audiences. The results are accumulated in a matter of days. Businesses must pay per question or per custom survey starting at 2K USD. So basically, you, the survey taker, are an anonymous contributor that helps companies find out more about what people want and think. This app is only available in the USA for now, but perhaps it will arrive in other countries at a later point in time. Has anyone ever participated in this before? What did you think? It's just another way to make fool out of people by giving money that cannot be redeemed in the google play account, cheaters they are!! So not worth the space on my phone, i never get surveys anymore, and when i did the credits would show then disappear. Emails go unanswered too. Not avaliable in denmark too. its worth it. i have $6.25 already just by answering a few surveys. They dont come a lot. But can't say to free dinero. I have only had this app a few weeks and already have $8.30. I have had 2 or 3 a week. Most of mine have been valued at $1.00. I think its definitely worth it. I have been using it since it released. you usually get a quarter to 50 cents per survey.. they dont come often, i get maybe 1 a week. but it adds up. Thanks for the feedback Alex! I guess the one dollar promise is not met, but it's still worth it in my opinion.